When it comes out that I’m vegan, one of the first responses is “so what can you eat?”, to which my answer is usually “everything“! Veganism isn’t about denying oneself or tirelessly being stingy with food-induced happiness. It is, in fact, the most fun thing I’ve ever undertaken (other than marrying Man-thing)! It equals opportunity, creativity and passion: there’s so much one can do with a cruelty-free diet. With that in mind, I’ve decided to do a little tour of parts of our humble kitchen, showcasing key ingredients and products for awesomeness. It may not fully answer the question of what it is I eat, but it may allow any curious cats to glimpse at the basics for veganism in our sovereign state of home. Man-thing is an omnivore, but he’s been gracious and wonderful enough to offer to keep a lacto-vegetarian household, so we only store his occasional milky chocolate, ice-cream, and cow’s milk in the house. Otherwise everything is refreshingly free of animal by-products! This is by no means a comprehensive list, but just some highlights of what goes on and what’s important to include in a well-rounded vegan kitchen and diet. This is a royal mess of a cupboard on good days, but we generally strive to keep it stocked with staples that are essential to good health overall. 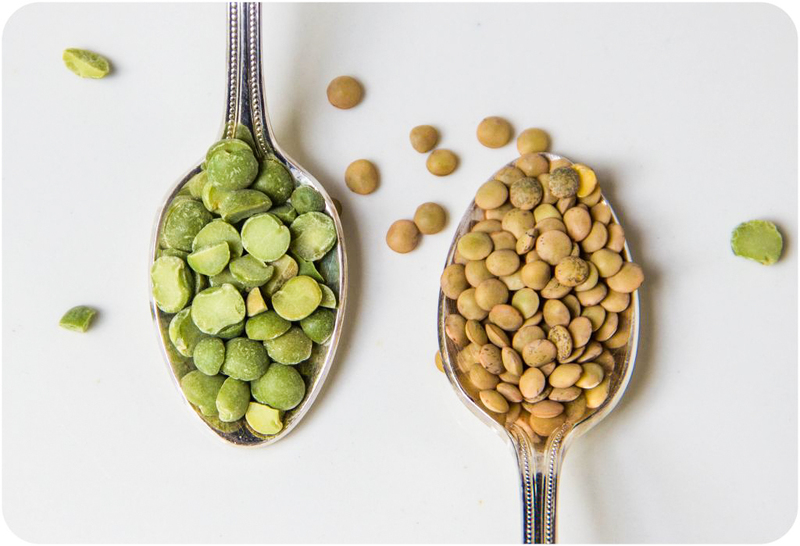 Protein: We keep packets and packets of dry lentils of all sorts and cook up a big bunch over the weekend to add to salads, wraps and dinners to ensure we get adequate legume-protein. We sometimes switch it up with black beans, mung beans, or kidney beans for kicks. I use a lot of canned cannelini beans and chickpeas for baking, so we try and have an uber stock of that. It’s also easy to make your own hummus with some chickpeas lying around, and much cheaper! We’re also soon going to start sprouting our very own beans to add to salads. Huzzah! Grains: this is more Man-thing’s realm than mine. Still, I always keep some quinoa stocked as it’s a good source of protein, along with brown rice, whole-wheat couscous, rye macaroni, and whole-wheat spaghetti. Sometimes one needs to indulge in a little carb fest because it fills you up and prevents useless snacking later on. Tip: If you’re buying pasta make sure you check the ingredient list: some pasta is made with egg and is not suitable for vegans. 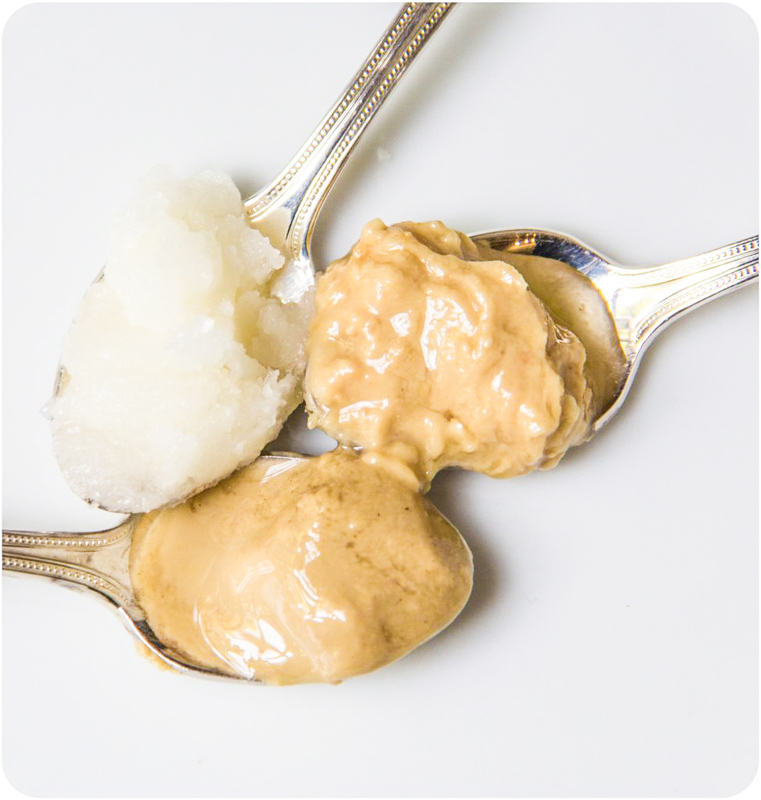 We always have a healthy supply of nut butters, olive oil, tahini, and coconut oil. Healthy fats are extremely healthy in moderation and shouldn’t be shunned. Vegans tend to eat less calories on the whole than omnivores simply by cutting out meat, so adding in an extra tablespoon of nut butter a day or a tablespoon of coconut oil to some brownies is perfectly valid and nutritious. Coconut oil can be used as a replacement for butter, oil or other fat-liquids in baking, as well as in raw foods. It firms up at room temperature (at least, in the winter!) and can easily be melted. Nut butter is also a delicious addition to any smoothie, cookie or frosting. Tip: If you’re having a “chip n dip” portion in your next party, line some celery sticks with nut butter or tahini. Yum! Protein, healthy fats and tastiness. Vinegars are a key part of sprucing up a meal and adding some delicious depth to stir frys, or even for adding to a marinade for tofu. Apple cider vinegar is also a key ingredient for baking (curdling soy milk)! We also love some balsamic vinegar to pour over a salad. 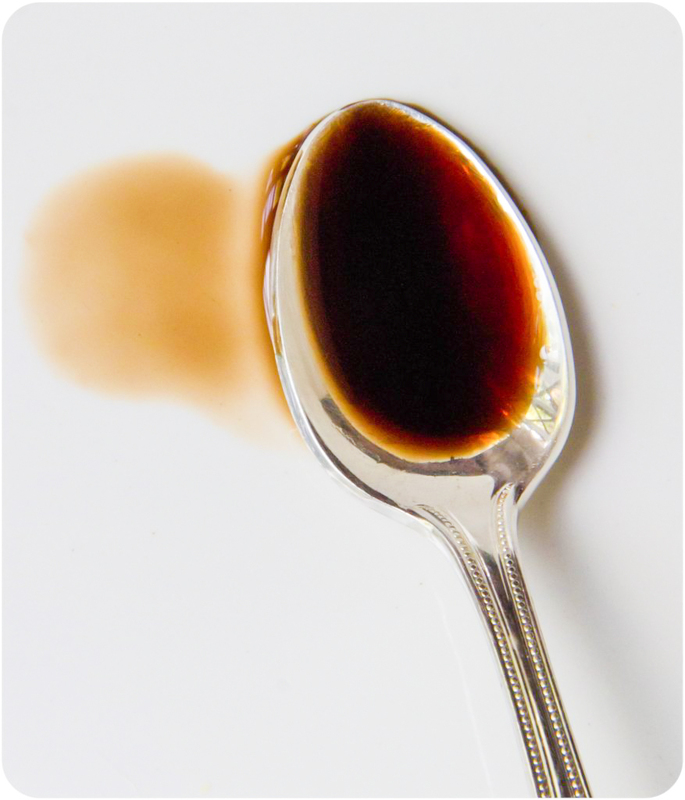 Tip: If you’re served fluffy white rice or pasta at a restaurant (which can spike your blood sugar), pour a bit of balsamic over it – balsamic vinegar helps to regulate blood sugar so it won’t spike in those circumstances when there isn’t a whole-wheat or un-refined option. Flours! I always try to keep a varied selection of flours available, depending on what it is I want to make. Lately I’ve tried incorporating gluten-free flours into my baking to accommodate the growing number of people who are sensitive to gluten and wheat. Rye, whole-wheat, chickpea, gluten-free mixes, buckwheat, soya, cake wheat, corn starch, and potato flour (these are just a few I’ve got!). Tip: Rye flour is preferred for diabetics as it doesn’t spike the blood sugar as easily as other flours. 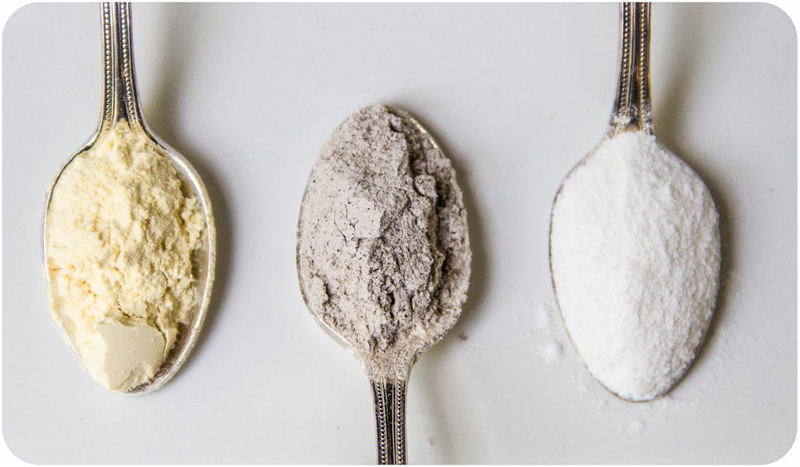 Keep in mind the consistency you require of your flours before exchanging them with other types – gluten-free flours may require more liquid than is called for in a recipe with all-purpose. Sugars and sweeteners are an unfortunate by-product of many baking projects. There are a vast amount of liquid sweeteners that many vegans use, such as blackstrap molasses, agave syrup, maple syrup and other gooey nectars, but not all of them are diabetic-suitable or for those who are prone to problems with how their bodies process sugar. For that reason we only keep agave in the house for liquid sweeteners. We have a small stock of fructose for baking, unrefined brown sugar, and light brown sugar for guests. We also keep a small stash of powdered sugar for certain recipes one makes once a year, but that’s about it. There is a lot of debate about sweeteners and their good and bad points, but as long as it’s done in moderation and as part of an occasional treat there shouldn’t be a reason not to have some sugar in the house. 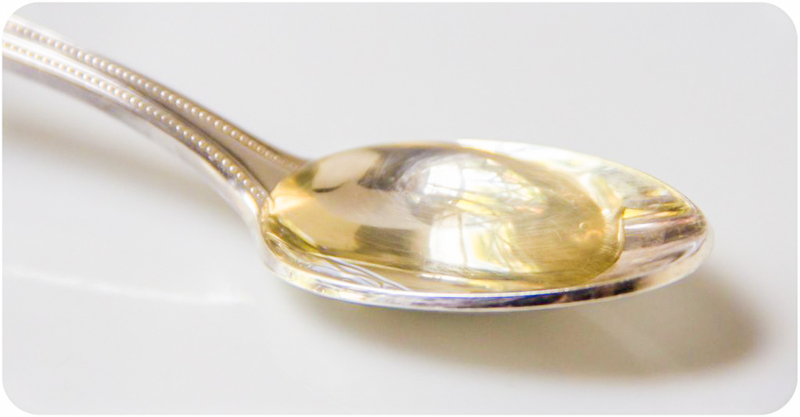 Tip: Be sure that if you replace liquid for granulated sugars that you understand the conversion ratios – some sweeteners such as agave syrup are extremely sweet and you may need less of it. Sugar acts as a wet ingredient in baking so you can’t leave it out altogether just to make something “healthy” – ask the recipe developer for alternate suggestions if you’re curious. 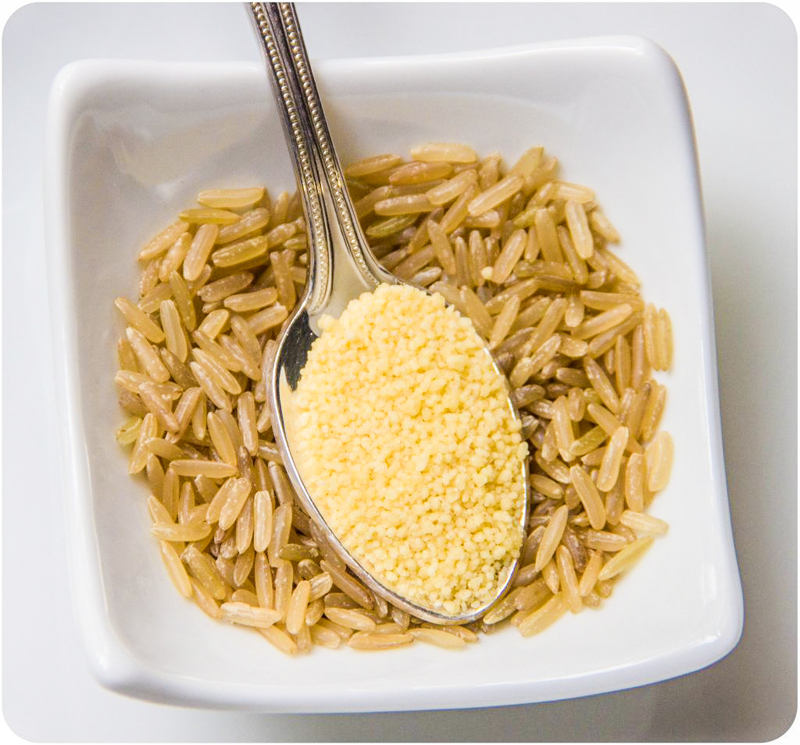 The basics: nutritional yeast (source of B-12), egg replacer, onion powder, curry powder, xantham gum, agar agar powder. These are essentials that crop up on a weekly basis as fundamental to many experiments in cooking and baking. Onion powder can easily give more flavour to tofu dishes, such as crustless tofu quiches, or to chickpea quiches. Egg replacer powder is sometimes a great alternative to the traditional vegan “eggs” (such as flax and chia seed mixtures) and especially when one is running low on those costly supplies. A box of egg replacer can last a very long while, so be sure to check your best-before date! We also keep a few cans of chopped tomatoes for those dire evenings when there’s no soup left, nothing in the fridge, and we have to quickly make a dinner with what scraps we can find. 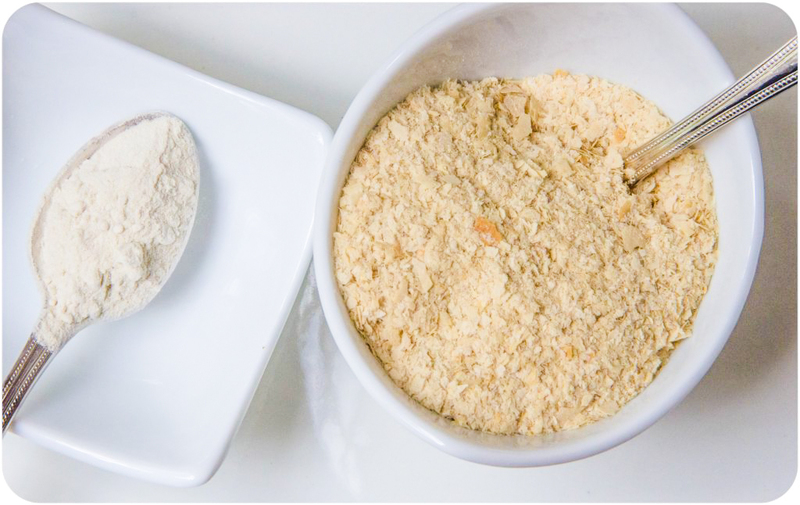 Tip: nutritional yeast is a fantastic spicing agent to give a meal a “cheesy” flavour, and works wonders when making your own cashew cheese. Sprinkle it over your vegan french toast smeared with home-made jam for a complex but delightful combination! Superfoods: Whether you believe in the healing, restorative powers of so-called superfoods or not, there’s no denying they are delicious and useful in cooking and baking adventures, so it’s worth it to invest for those reasons alone. We stock flaxseed powder, chia seeds, psyllium husks, cacao, hemp protein powder, maca, spirulina, matcha powder, and goji berries. These ingredients work wonders in smoothies or stirred into some vegan yoghurt. 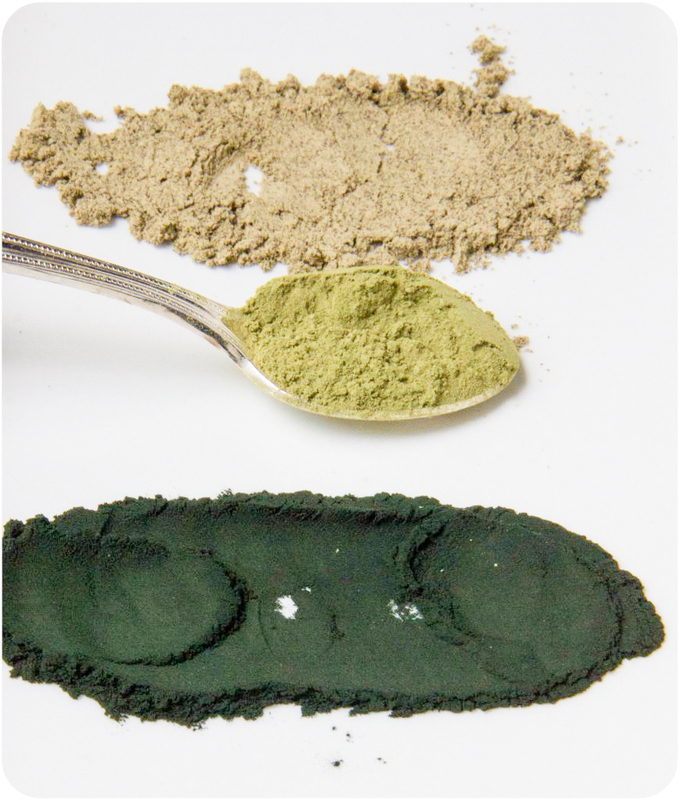 Chia seeds and flaxseed powder are indispensable in making vegan eggs, and spirulina is a good source of B-vitamins. I find that unnecessary protein powders just bulk one up if you aren’t actively exercising, but if you can afford good quality flavoured protein powders they are often a key ingredient in many home-made protein bars. Tip: If you have a mortar & pestle or mechanical grinder then buy the whole flaxseeds and break them down, but keep in mind that the body cannot digest whole flaxseeds! Dried fruits and nuts: My favourite drawer in the house! Nuts are a very good source of protein, fats and are generally a great snack to stave off cravings for less-healthy and highly refined goodies. You can blend a portion in your smoothie, strew it over your cereal, or simply keep a portion-sized pack in your handbag for emergencies. Dried fruits are also wonderous as many can be used in baking and cooking. Throw a couple of dried apricots and cashews into a stew for some pleasant surprises or blend soaked dates and water to make a home-made caramel sauce to pour over cakes, home-made ice-cream or an apple. Dates make a great replacement for sugar in some recipes, and prunes can easily be incorporated into raw energy bars or be simmered down into a delightful jam for a pastry filling. As with anything, but especially dried fruits and nuts, I personally exercise moderation since one can easily overeat on these delicious treats. 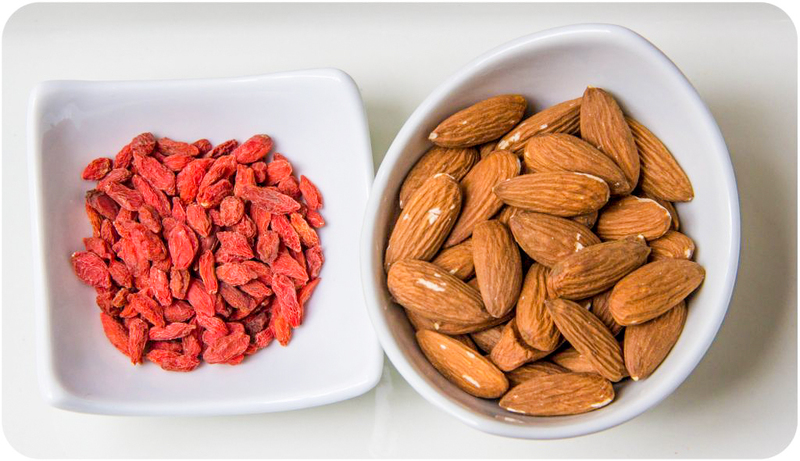 Dried fruit does not always agree with everyone’s digestion, and nuts, although healthy fats, can, if consumed to excess, help pile on unwanted weight. Tip: Keep a tupperware of almonds by your work or computer station at home to prevent idle snacking. If you feel a craving sneaking up eat a few and then put it away. You’ll be surprised what a few nuts can do! Sometimes when you think you’re hungry you may actually just be bored. Stretch, go make tea, then assess your craving. These are just some of the things in the kitchen. Being vegan, just as being vegetarian or omni, means approaching food as part of a lifestyle, and it’s important to ensure that one doesn’t cut out key nutritional components. With these basics in your pantry you should always be able to whip something up, whether it be a hearty breakfast of chickpea pancakes with beans, a luxurious lunch of salad dappled with cranberries and pine nuts, a quick snack of pesto and hummus on crackers, or a delicious dinner of spaghetti with falafel. So much shiny! Honestly, with food from every colour of the rainbow on our plates each day, vegans really do eat everything!